With our new Relax & Resource program on La Gomera we offer a vitality package for body, mind and soul on this wonderful, energetic island. Why not changing from a normal holiday to really treat you? Take a break from daily life duties and support yourself and regain your strength. 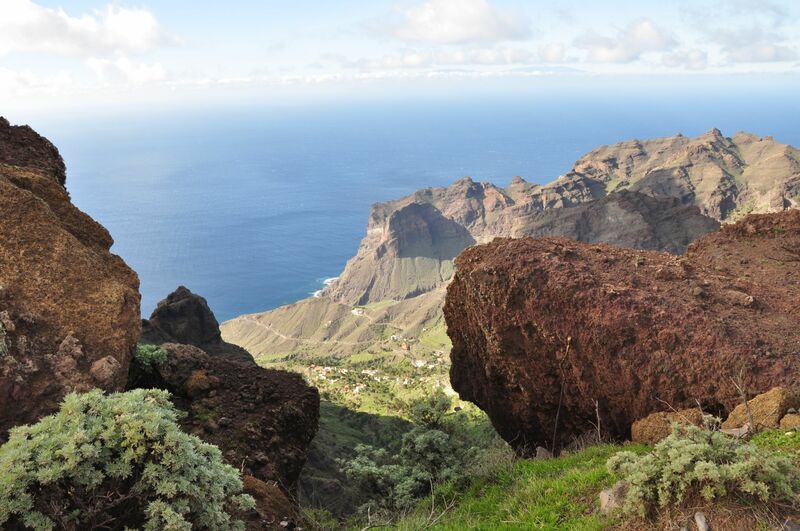 Therefore, the sun spoiled Valle Gran Rey at the west coast of La Gomera is the perfect location. Scientific surveys proof, that just relaxing doesn’t recharge your batteries as much as the right amount of activity and inspiration. A pamper package to refill and to support your equilibrium! This great mixture between beneficial, individual treatments in combination with visits on the ocean to encounter dolphins and whales and other offers like yoga, meditation and excursions vitalizes and gives energy – give yourself a treat! It is wonderful combination of program and your own leisure time on a beautiful and green island. The meetings with wild dolphins and whales are always a highlight and we take care of respectful Whale Watching with max.10 guests on board. We have a sighting rate of 90% all year round – 23 species have been encountered the last years. Meeting dolphins and whales is always a touching experience! Various services like renting our snorkel equipment and parasols, books, beach toys for the kids, free entrance to all our information- and video evenings about cetaceans, free filtered drinking water etc.